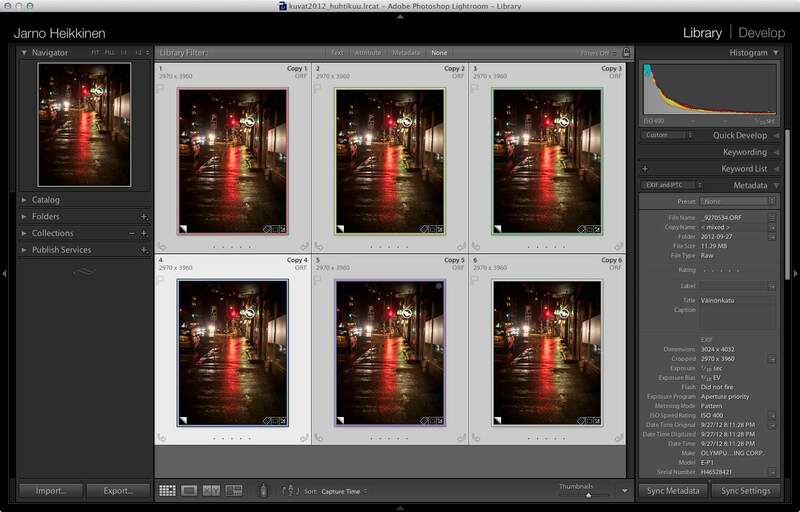 Lightroom Post-Process Action plugin, which sets OS X file system color labels based on the color labels set in Lightroom. 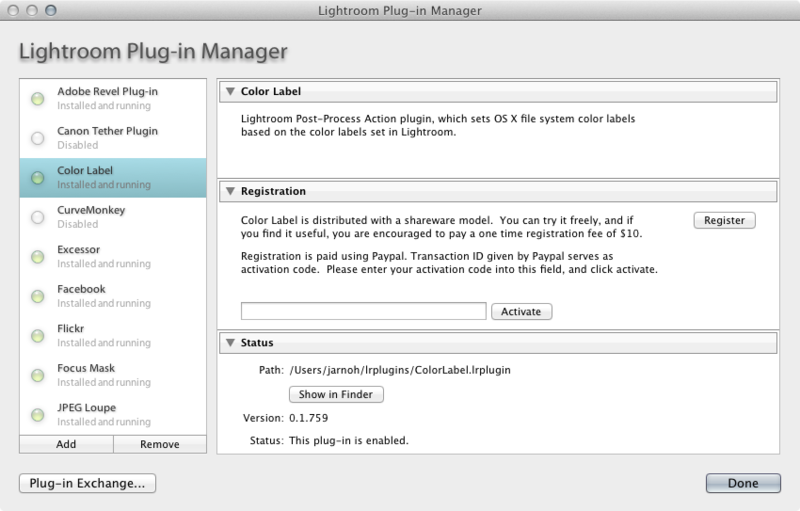 After downloading and extracting the plugin, install it using Lightroom Plugin Manager. Here’s my sample of photos to be exported, same photo but different color labels, ready to be exported. 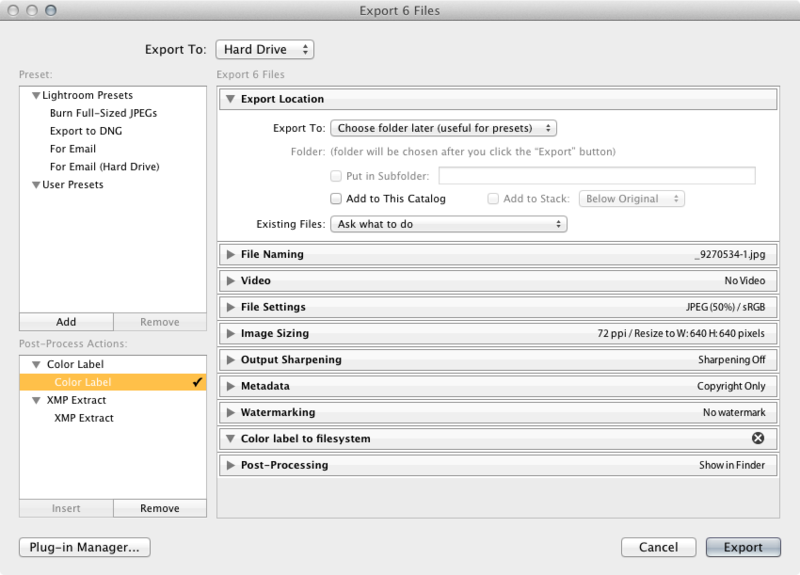 On the Export dialog, click Color Label plugin on the lower left dialog, and click Insert. This will add the plugin to export. Then just click Export! 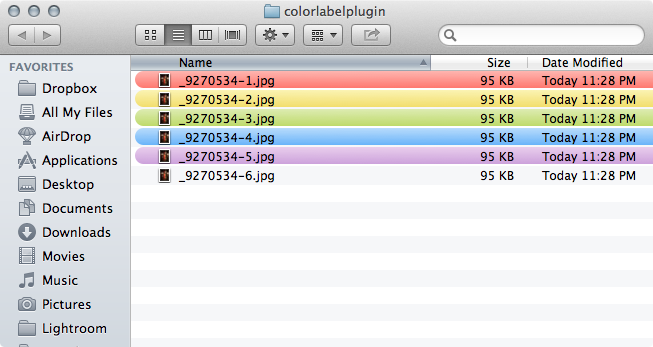 After export, the exported files are flagged with OS X Finder color labels. Color Label was written with OS X 10.8 color labels in mind, which were exclusive. In OS X Mavericks, labels are now tags and you can set multiple tags at same time. I’m going to improve it in future with better Mavericks support, but I haven’t really decided yet how it should be implemented, but “Pick” tag is a must-have. I would register these plugins if I knew for sure if all of them worked under Win7. I am using LR5.6 at this time. Color Label is OSX only, but generally all others run on both Windows and Mac OS X.
I was wondering if you knew how to do the opposite of your plugin – i.e. 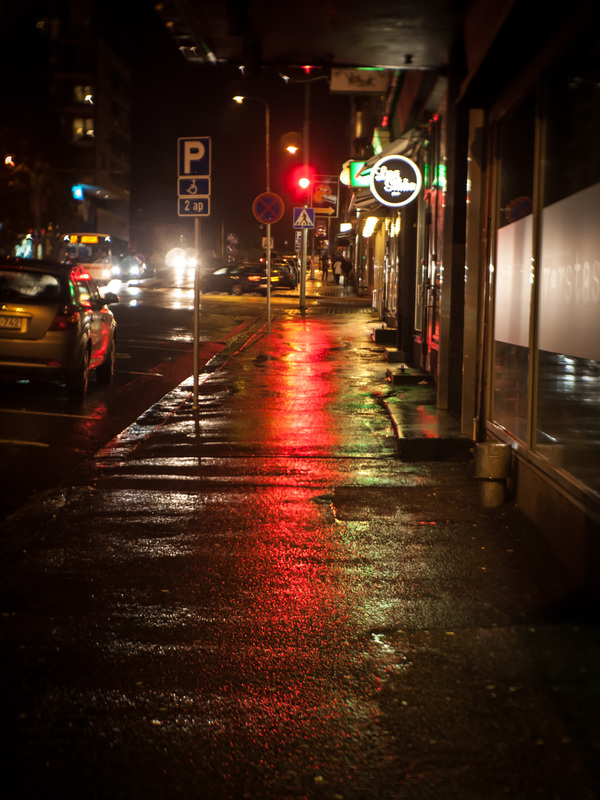 : remove color labels in particular for jpg’s upon export. I ask as I manage multiple sites over the cloud, and use green as a smart collection for publishing. However, when I re import into a sync’d folder – those original green images go into a loop and multiply. Well, your problem is that the label goes into XMP metadata inside the JPG file, it’s not really related to this color label plugin, since OS X Finder labels are not used. One solution is to use Metadata Preset on import: Create a new metadata preset which has Label field checked and empty value. This will cause the label to be emptied on import. Is anyone aware of anything that will do the same thing but for Capture One? Thanks! Phase One provides SDK which costs 2000 euros per year. I don’t know if they have any other solutions for plugin development, but with that price tag, I don’t think they really want any developers doing plugins for Capture One Pro.